Trent Jackson's life changed abruptly in early 2015. The computer engineer thought he had the flu. His then-wife, Donna Sylvia, thought differently. His skin was turning a dark golden yellow, almost brown, "like he was getting some kind of weird tan," she says. On Wednesday, January 28, Sylvia and Jackson's brother Todd finally persuaded Jackson to see a doctor. Sylvia's suspicions were confirmed: Jackson's liver had failed. His kidneys shut down, too. Doctors rushed him by air ambulance from Columbia, Md., to Johns Hopkins Hospital in Baltimore. There, he scored 39 on a 40-point scale that gauges how likely a person in liver failure is to die without a liver transplant in the next three months. People in his condition are often considered too sick for surgery, Jackson says. But on February 15, he got a new liver. "I guess they decided that other than being mostly dead, I was pretty healthy." Jackson, 53, got a second chance, but his ordeal hasn't ended. 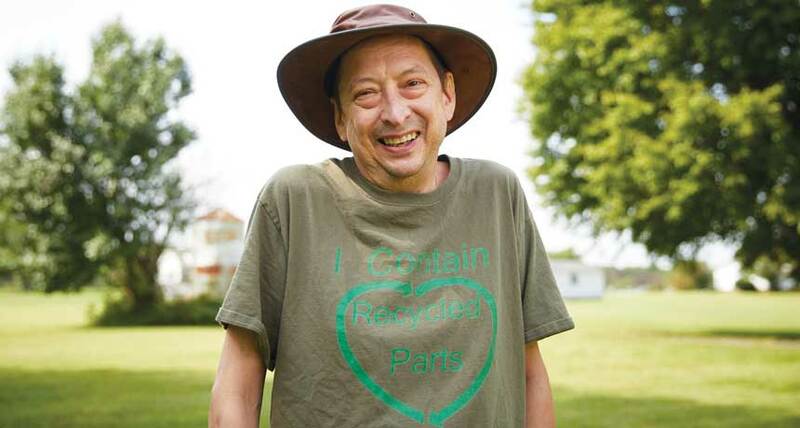 He takes three drugs every day to keep his immune system from attacking the donor organ. (Transplant recipients often take daunting drug regimens, but many are able to gradually reduce the amount of medication.) Over the long haul, the drugs leave people vulnerable to infections, kidney damage, cancer and type 2 diabetes. Jackson hasn't experienced the most dire side effects. But tacrolimus, an immunosuppressive drug, makes his hands shake, and a steroid he takes caused cataracts, for which he needed surgery last year. Powerful as the drugs are, they are not a foolproof rejection remedy. In the three years since his transplant, Jackson has been hospitalized twice for acute rejection. With gallows humor, Jackson, now living in Carrsville, Va., jokes: "The good news is I have a great immune system. The bad news is it tries to kill me every day now." Jackson isn't alone. In the first eight months of 2018, 24,214 people in the United States received a donated organ. In total, there are more than 354,000 people living in the United States with transplanted organs, most of whom are resigned to taking immunosuppressive drugs for the rest of their lives. Before the drugs, people who got transplants often died within a year, says Andrew Cameron, a transplant surgeon at Johns Hopkins. After the introduction of the drug cyclosporine in 1983, about 80 to 85 percent of transplant recipients survived the first year. That number hasn't changed much in the last 40 years, Cameron says. Long-term survival is the bigger challenge. Of 1,456 U.S. lung transplants in 2007, 1,045 had failed by 2017. On the plus side, about 55 percent of transplanted kidneys, 57 percent of livers and 60 percent of hearts survive a full decade.